Stop the Presses…and START HERE! Let’s start with unveiling the cover itself. 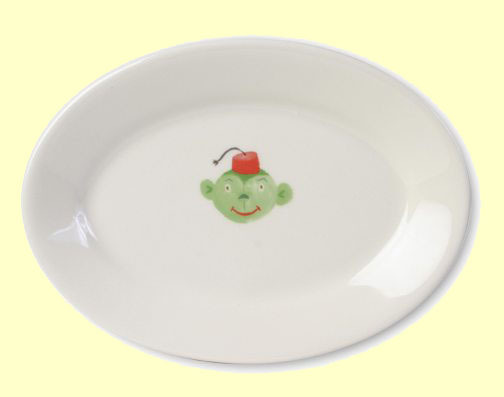 It features a lenticular! And it’s going on press this month! I’m so excited! Why? Because it all began as a list of words on a spread sheet almost five years ago. 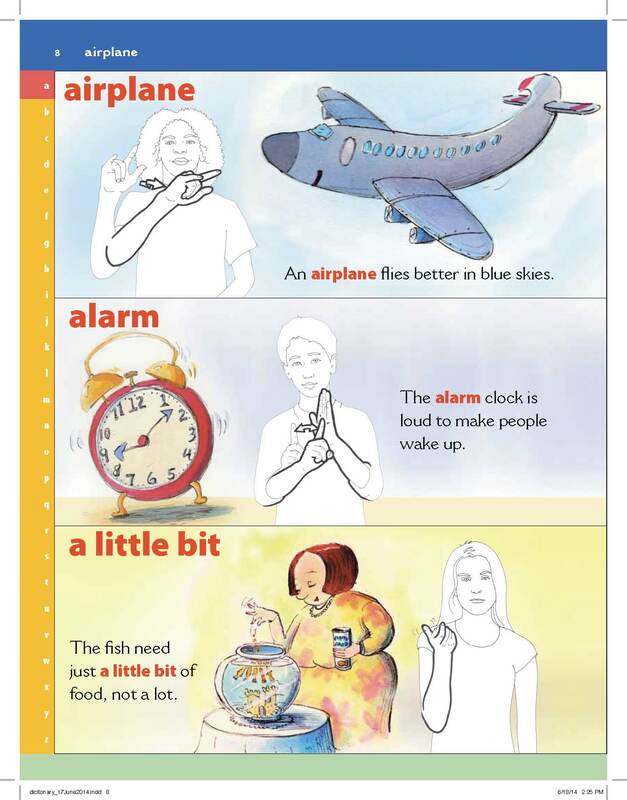 Gallaudet University Press lined up a team of illustrators for their upcoming definitive American Sign Language reference (think Merriam-Webster, but for signing), aimed at the pre-school through grade 3 level. It had to be usable for hearing families as well as the deaf and hearing-impaired. 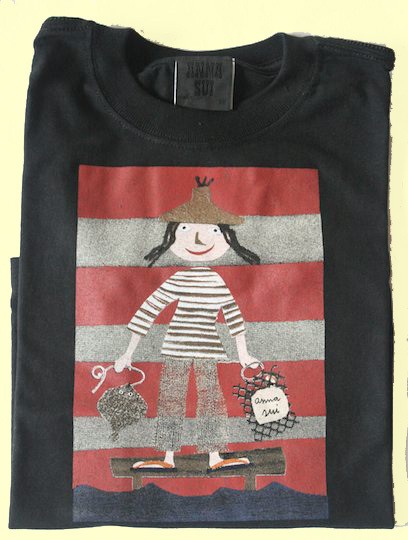 One of the illustrators already on board was Debbie Tilley. When agent Richard Salzman discovered it was (a) Gallaudet first foray into children’s books and general trade; and (b) they expected Debbie to produce the layouts too, he recommended they contact me to pull it all together for them. It was a dream project for all of us! 392 pages of full color! 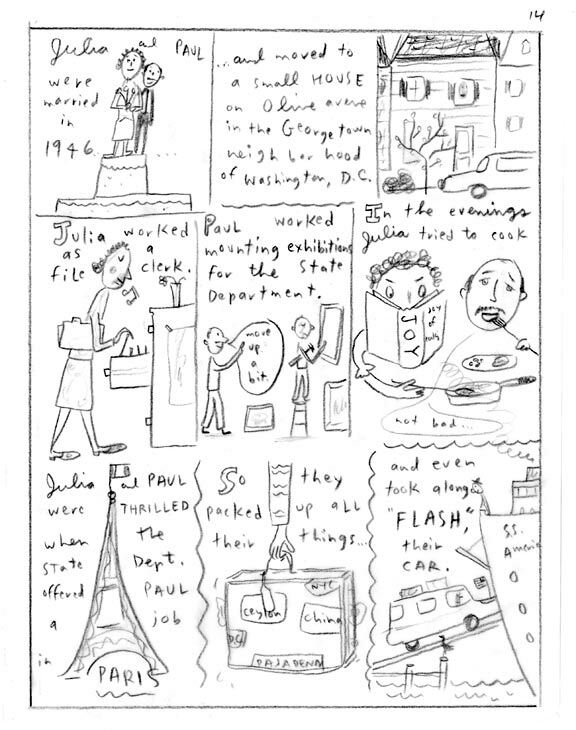 It looks like a graphic comic, with over 1,000 word entries, fully illustrated. Plus it includes a DVD featuring a rainbow of children signing. 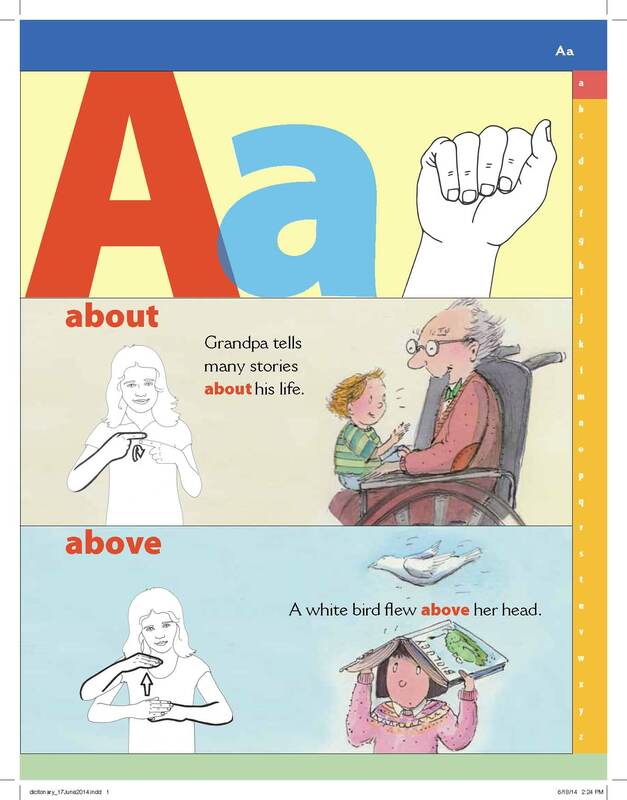 There’s also a special feature on forming sentences. Over the next few weeks, I’ll guide you on the process. It will be like a diary on the making of a children’s reference classic. . .
1) What’s your favorite children’s book and why? Where the Wild Things Are by Maurice Sendak. We’re jumping feet first into the summer with a visit from one of the best story-tellers on our planet! 1. What is the title of your work-in-progress? 2. Where did the idea come from? 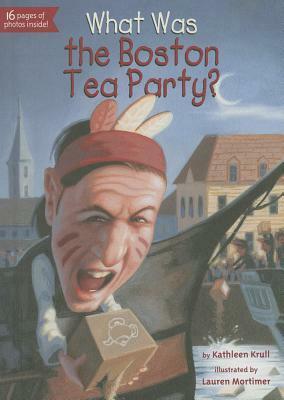 KK: Without being an expert on the Boston Tea Party, I still had a sense that the current Tea Party movement, which began in 2009, a month after President Barack Obama took office, was not always accurate in its depiction of American history. So I wanted to know the real story of the event and present it to young readers. 3. What genre does your book come under? 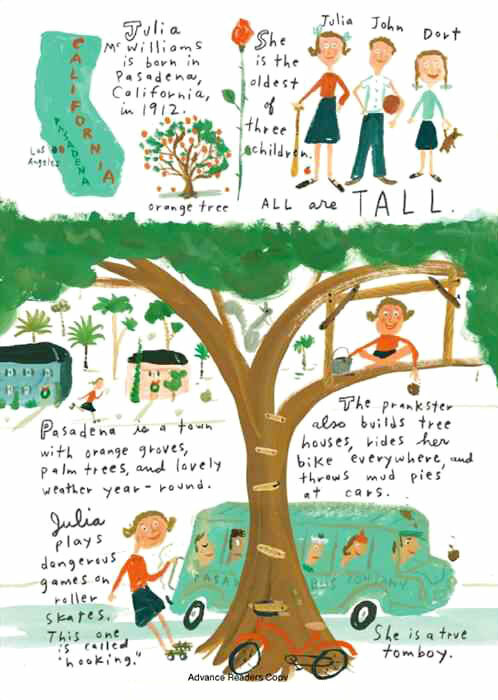 KK: Nonfiction chapter book, illustrated with line drawings and 16 pages of photos. 4. Which actors would you choose to play your characters in a movie? KK: 150 of Hollywood’s buffest and cutest and youngest–more than a third of the participants that night were under 21. 5. One sentence synopsis for your book? 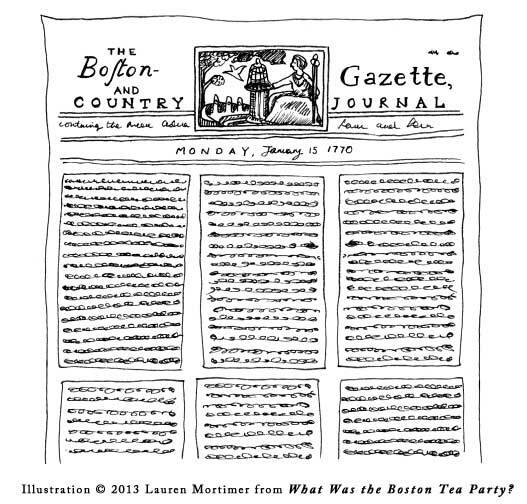 KK: What happened on the night of December 16, 1773, placed within a context of what led up to it and what resulted–how it led to the birth of a whole new country. 6. Is your book self-published, published by an independent publisher, or represented by an agency? KK: Published by Grosset & Dunlap, a division of Penguin. KK: At the same time I was thinking Tea Party thoughts, my editor at Penguin, Jane O’Connor, was starting up this new series — WHAT WAS, a spin-off of WHO WAS. The deadline was tight, a matter of months, during which I was drinking tea from morning till night. KK: Is it conceited to say I hope I’m trying in my way to follow in the footsteps of Jean Fritz? KK: American history is endlessly fascinating, and I love getting the chance to portray it as accurately and meaningfully as possible, fighting the good fight against cluelessness. 10.What else about your book might pique the reader’s interest? KK: It’s controversial! Anyone who enters the fray will get sent a free copy of the book. And now, I am tagging two upstanding children’s book folks: Helen Foster James , co-author of Paper Son: Lee’s Journey to America and several other popular books, and Carlyn Beccia, illustrator for one of my newest, Louisa May’s Battle and other beautiful books. 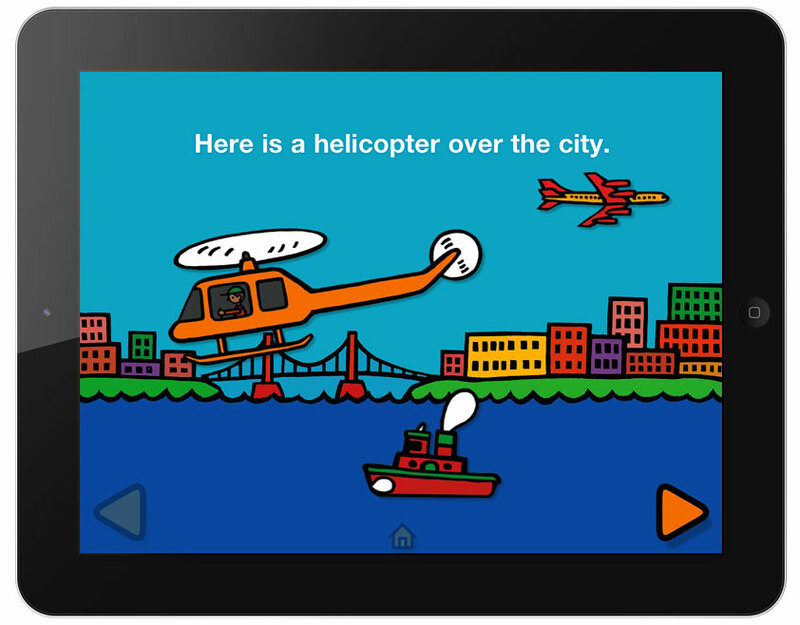 From On-Line to HANDS-ON: Let’s Draw Stories! Summer Solstice! What could be better after a full day’s work (or sunning & surfing — hey, we’re in San Diego! 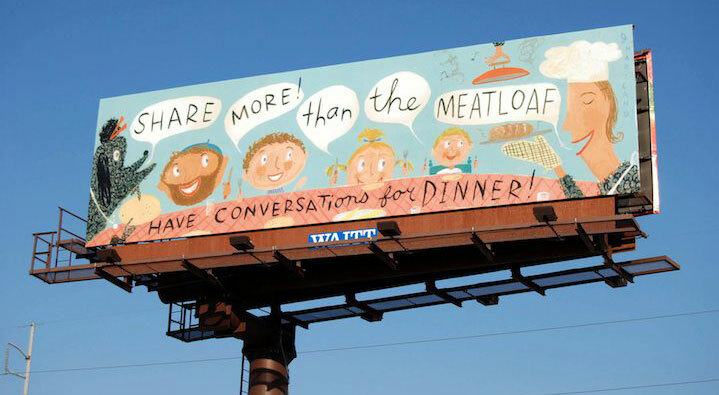 ), or sight-seeing around San Diego, than hunkering down, and drawing pictures with other passionate story-tellers? 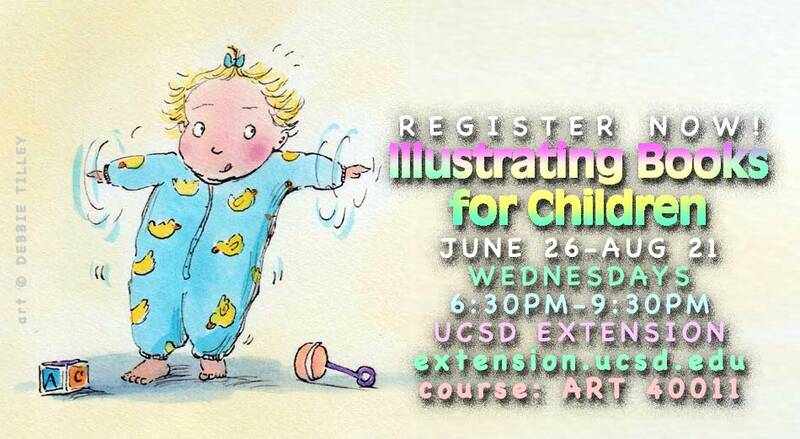 We’ll do hands-on drawing-and-sharing, in class, in person, at the beautiful UCSD Extension campus in La Jolla, CA. 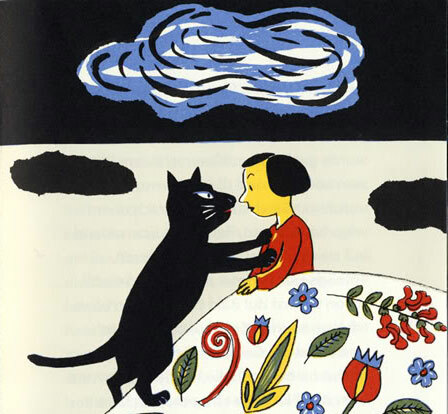 Examine the latest picture books, plus a few timeless classics. And address aspects of the current children’s book market. It’s a unique opportunity when an illustrator can also write stories that other artists can render. 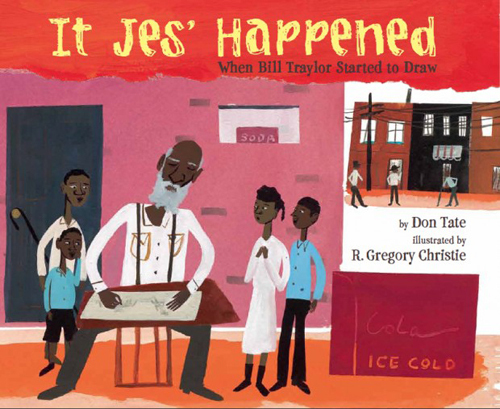 This happened to Don Tate when he wrote It Jes’ Happened, illustrated by R. Gregory Christie. Check out this excellent discussion between Anne Rockwell and Don Tate, at Anne’s site. Remember this if you encounter a book editor who loves your story, but suggests that another illustrator provide the art. Don’t insist on all (doing both story and pictures) or nothing. If a publisher is seriously interested in acquiring one component, make sure to ask why. Decisions like these are made for the good of the project. Editors want your book to sell as many copies as possible. One practical consideration is name recognition. Newcomers tend to forget that buyers invariably prefer to request a familiar name or brand, even in bookstores or libraries. Or just the books with the medals on their jackets. Publishers also need to see how your name fares out there initially, in the mutual interest of nurturing a new career for the long term. Check out Christian Robinson‘s method, and get a behind-the-scenes peek into his upcoming book Rain, written by Linda Ashman here. More about my upcoming UCSD Extension Class! Since I’ve been receiving numerous emails with questions about my upcoming online class at UCSD Extension (January 7-March 9, 2013), I thought it would be good to combine them here. Q: Can you give a little more info on how the class is structured? 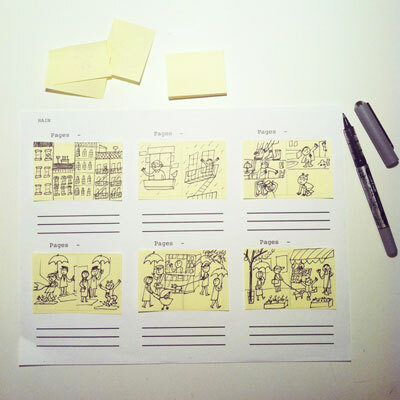 Our goal will be to zero in on the book dummy itself, in terms of telling a story with utmost clarity. 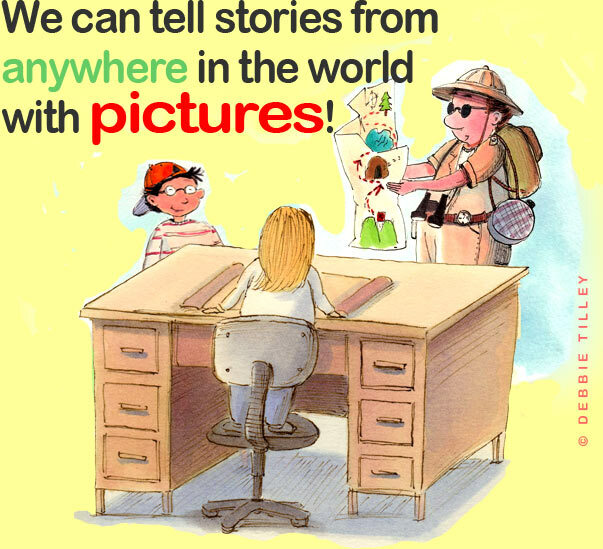 We will explore the most effective ways of communicating story through images. I must stress that this will not be a drawing class per se — in the sense that there will be no time to apply any drawing details, nor tight rendering. In my experience, students (and many pros) have a tendency to focus lovingly on completing details and minutiae prematurely (before fully plotting the entire story), creating exquisite but static compositions at the expense of the whole. The story itself becomes incomplete. By keeping our drawings simple, we will avoid becoming a stuck car tire, spinning mud. Nailing key points like character creation; pacing, creating drama; graphic shapes and their importance; rhythm; making judicious use of white space. These are just some of the issues we will address. 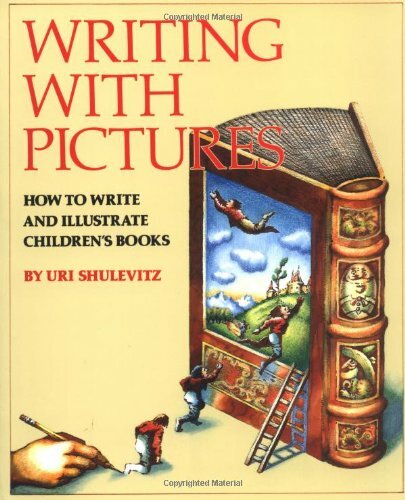 We will be identifying art media (so many possibilities) used in today’s picture books, both traditional and digital. See a style you like? Ask about it! And there will be plenty of sketching! 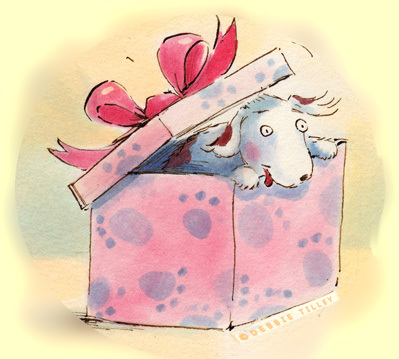 The book dummy is the most important stage in the creation of picture books. Analogous to drawing architectural floor plans before building the house itself, this is the stage where all creative decisions on the picture book are made. With your completed floor plan (the book dummy), you can move on to experimenting with the art media of your choice upon completion of this class. This is why all drawings for our class must be done simply. We will complete three book dummies in nine weeks. In other words, stick figures are totally smart & OK! 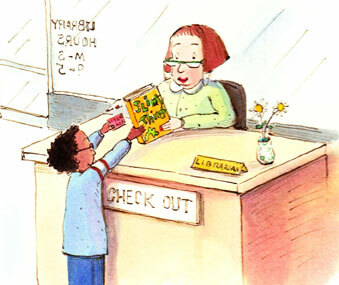 All students are required to have an active library card. Everyone must borrow, read and share picture book selections, based upon a given theme for that week. Nowadays, any library book can be reserved online for later pick-up. In addition, everyone will be required to have a photo-sharing account, like Flickr , Picasa, or Photobucket to store images. This is where rough sketches would be uploaded. 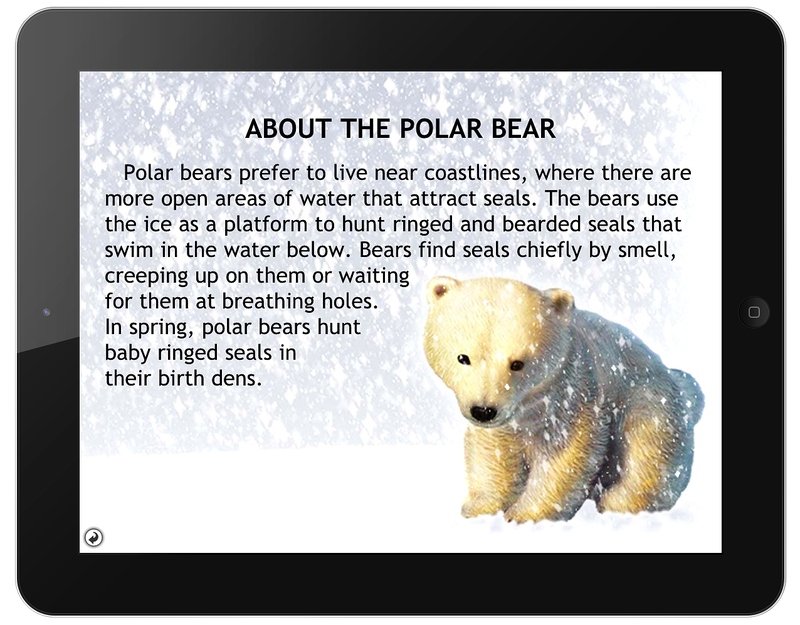 Students link images to display direct onto the class blog or discussion boards. This is to insure we do not over-tax UCSD Extension’s servers, as images take up far more memory than text. (1) A Discussion Board, where everyone shares thoughts about the weekly theme, as well as technical tips (Example. Best ways to create low-resolution scans and PDFs; recommended links). (2) A Group Blog, provided for this class only via UCSD’s Blackboard software. Students will be divided into critique groups. Each group will have its own Group Blog, to ensure ongoing feedback and support on works-in-progress. (3) Class availability, 24/7. You can work on assignments anytime. Just remember that new lessons will be posted every Monday morning! Every Monday, there will be a new Announcement summarizing the lesson plan plus assignments for the week. Assignments must be completed and uploaded every Sunday @ 11:59 pm. Each new class week begins on a Monday. Q: Will we get to share our work with other students? Definitely! In fact, this is a must, and a major feature of this class! There will be critiques, discussions, and opportunities for feedback throughout the course. Rules and guidelines for procedure and protocol will be distributed. Q: Will you be giving feedback? Yes! I will be reading everyone’s comments —- with an eye towards encouraging everyone’s mutual support. And I will jump in as appropriate. I will also list specific times when I will be online live to address immediate concerns. Most importantly, students must have high speed internet to participate. To test your equipment, go here. To preview and sample our class’s online tools free, go here. Q uestions? Post them below (‘Leave a reply’)! I look forward to meeting you, and building our Creative Online Community. Feel the buzz? Register here. Think you can’t express anything with stick figures? You’d be wrong! Click here and enjoy! Another title that exerted a strong visual pull on me at the ALA Convention Floor last July was a fun-packed book called Bon Appetit! 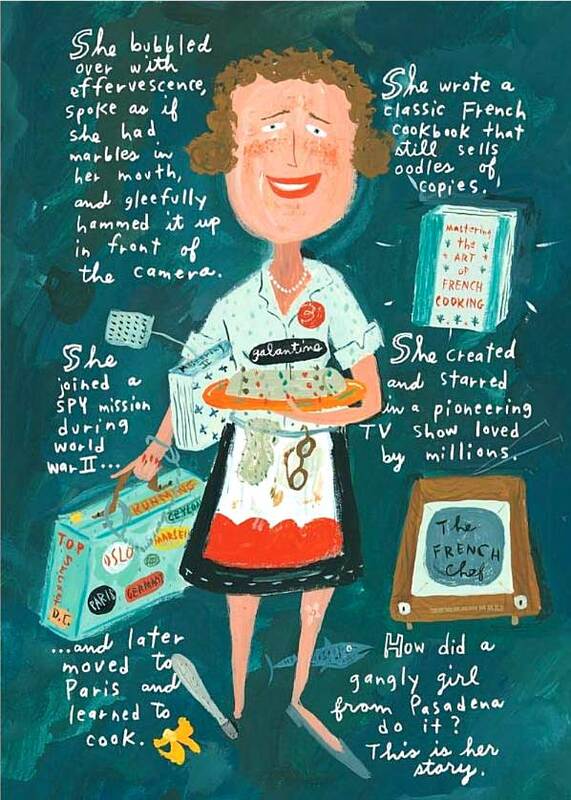 The Delicious Life of Julia Child, published by Schwartz & Wade (a division of Random House). It was written and illustrated by Jessie Hartland. What was the je ne sais quoi for moi? 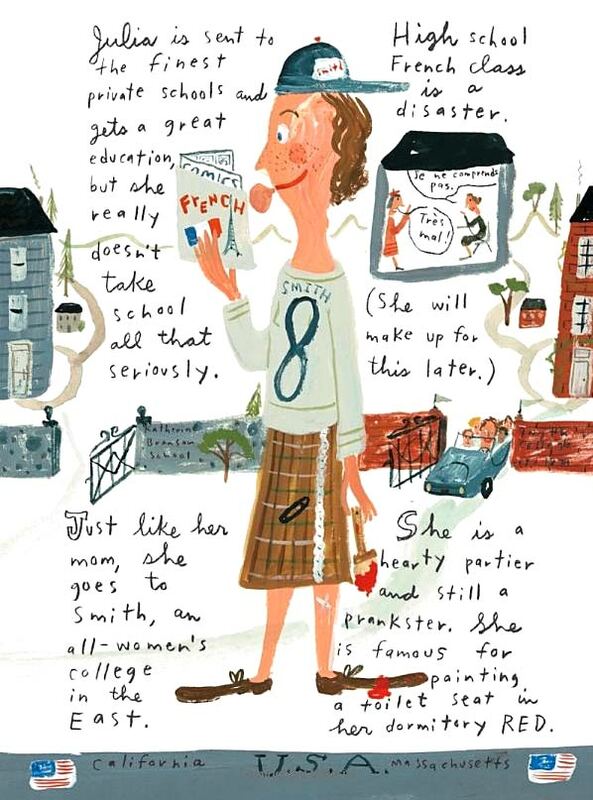 There’s the combination of ebullient art, alongside wickedly funny text: “…She is a hearty partier and still a prankster. 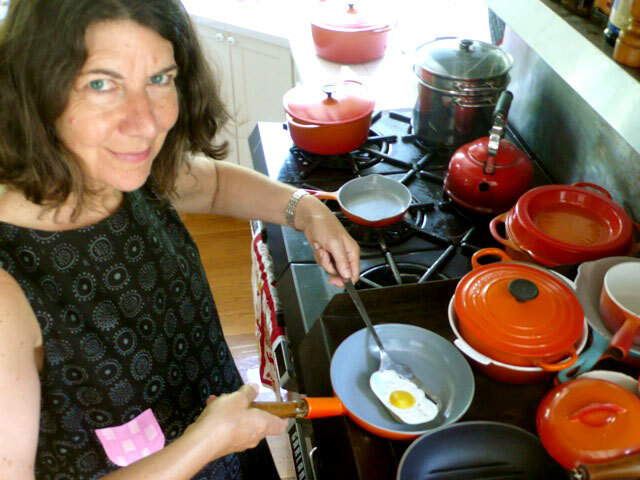 She is famous for painting a toilet seat in her dormitory red…“ Simply irresistible. Then I discover that author Jessie Hartland was the creator of another book that tugged at my heartstrings previously at ALA Mid-Winter 2011, How the Sphinx Got to the Museum (published by Blue Apple Books). Why did both the Julia and Sphinx books jump out at me? I think it’s because both books underscore the act of process. It’s as if Jessie wholeheartedly takes us along for the ride, while she researches her subjects. We get blow-by-blow commentary, at a fast clip. 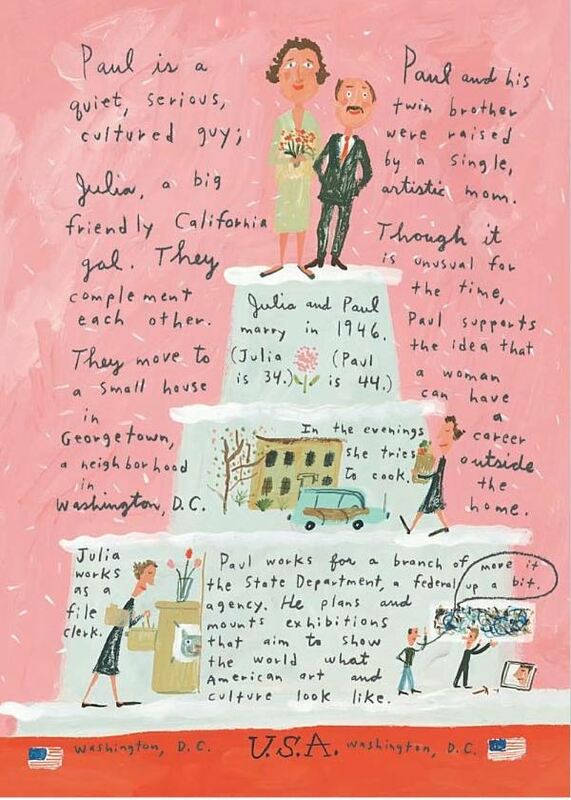 Playfully rendered, and partnered by lively hand-written text, each page feels like notes shared by your BFF, who happens to render doodles into color. Mais oui! 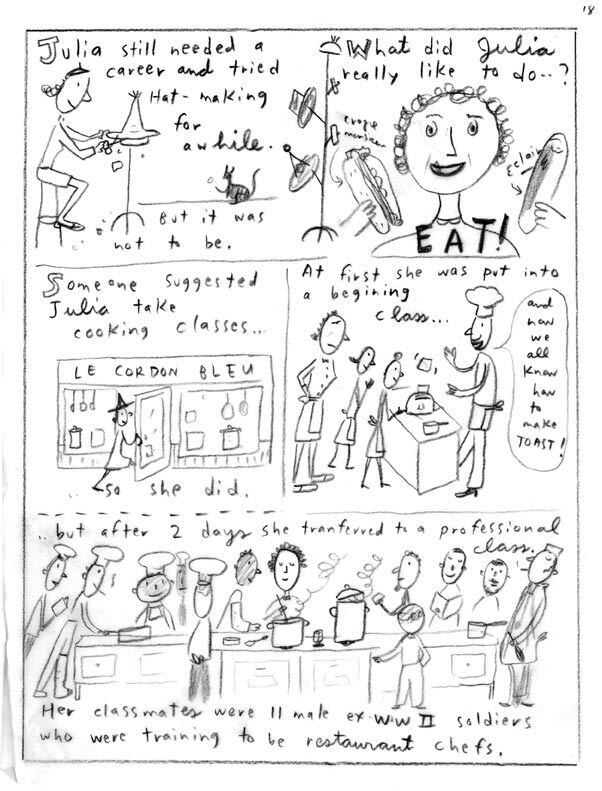 For Julia’s story, Jessie combined her own love of cooking with travels to Paris. I had to find out more. 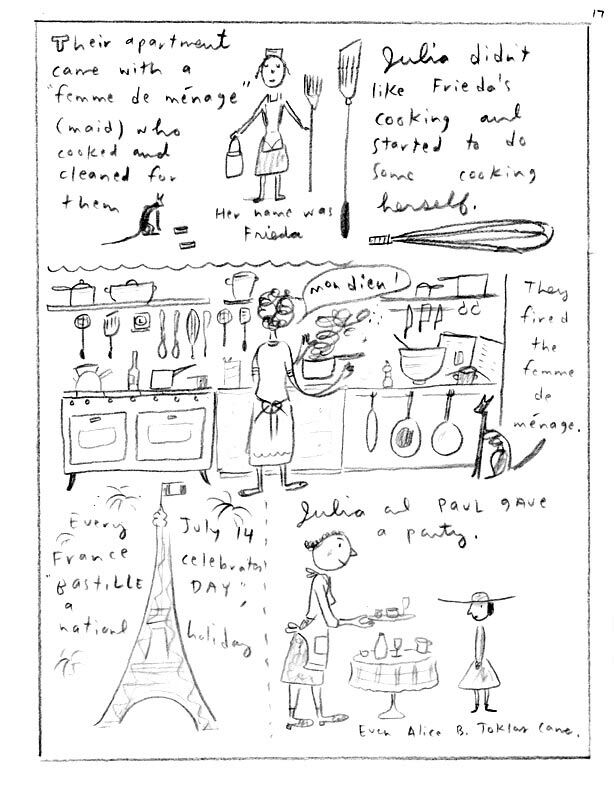 Joy Chu: Tell us about the genesis of the Julia Child book. Whose idea was it? Jessie Hartland: It was my idea. 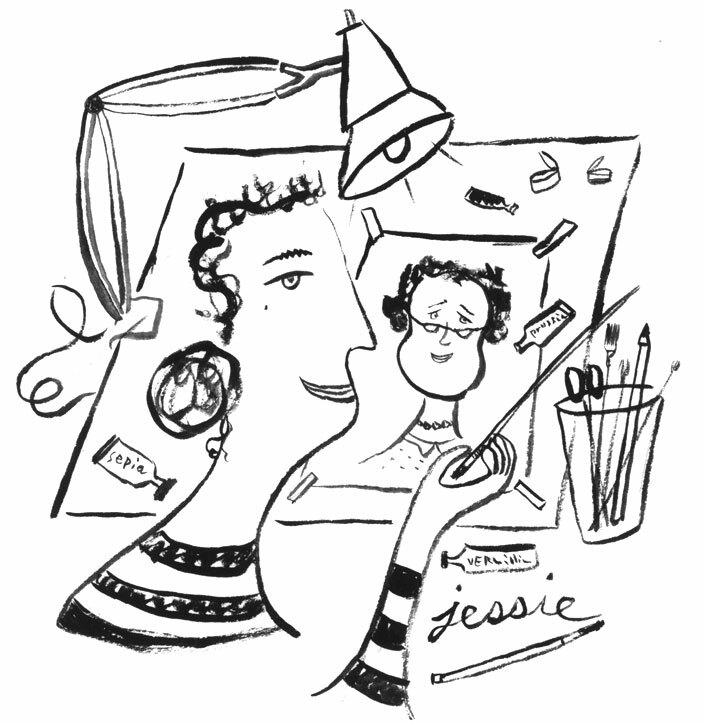 I love to read biographies and I wanted to do a series of “graphic biographies” for children, my own way. 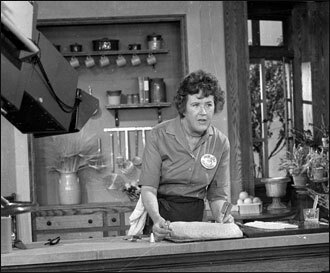 I pitched Julia Child as the first in the set. 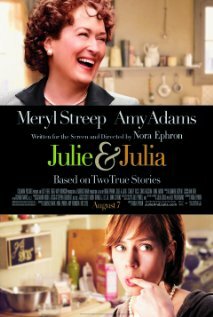 [However] the film revived interest in Julia, and I am so grateful to have been given the opportunity to do the book. 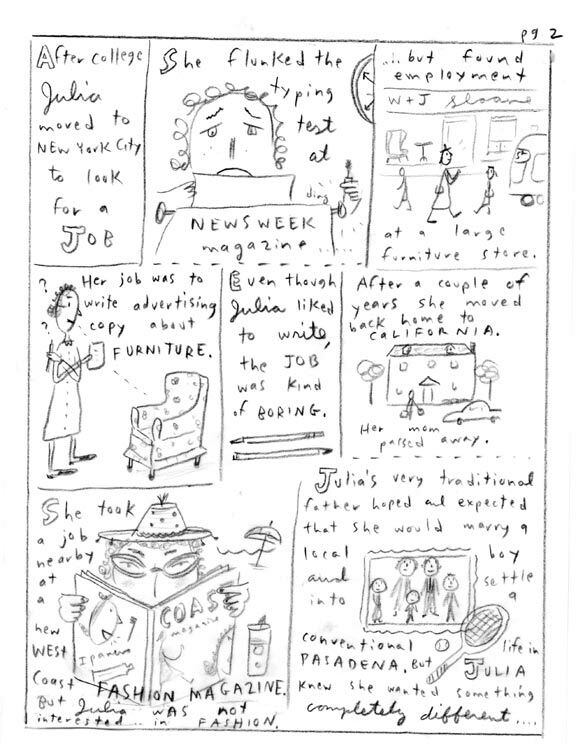 JC: Did you do many preliminary character sketches of Julia herself? JH: I looked at lots and lots of photographs of Julia and watched all the DVDs I could find, then started sketching — from my head. I did a lot of doodling in cafes, and other odd places. JC: Was there much back-and-forth on the progressive dummy? How many versions — including the ones you did for yourself? JH: Yes—of course. Lots of back-and-forth. Many scenes needed to be clarified for the wee ones. 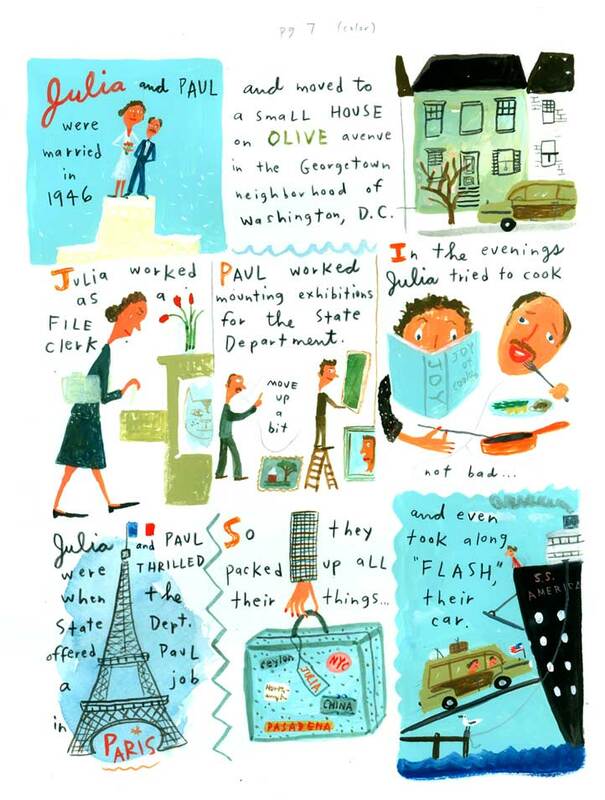 Preliminary rough: Julia and Paul Child’s early years in Paris. . .
. . . and its color version. Some images I had as full-page got shrunk to a small panel. Some tiny panels got blown up to full-pagers. Same text content, with full-page treatment in lieu of small panels. JC: Favorite medium? And do you work same size, or up-size? JH: I tend to work up-size, just a bit. I paint in gouache, which is opaque watercolor. JC: Did you provide your own scans? Back and forth on color corrections? JH: They [the publisher] did the scanning. I don’t remember much in the way of color correction. However, there was lots to fix and clarify, what with all the hand-written text, made more complicated by the bits of French sprinkled in. JC: Are you a foodie yourself? JH: Yes, I love to cook. 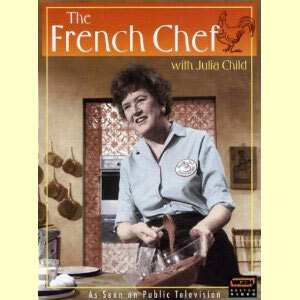 I grew up watching “The French Chef” on TV. My mother did not like to cook and it was fun to watch someone cooking who enjoyed it. At home we ate frozen vegetables, canned fruit and dreadful things made with soup mixes and such. As a teenager I got an after school job in my town’s only fancy-foods shop where I had my first croissants, baklava and French cheese. While in art school I worked weekends and summers as a restaurant cook. Nowadays our family eats a lot of seafood caught by my 20 year old son, Sam: tuna, sea bass, bluefish, porgies, mahi-mahi and cherrystone clams. I grow tomatoes, cucumbers and raspberries and have a thriving herb garden. JC: How did you get started, in brief — from school to the field? JH: I went to the Boston Museum School, a very fine arts-oriented school, not commercial. It is affiliated with Tufts, where I took excellent academic classes. After graduating, I worked briefly at a high-tech start-up, then moved to NYC and worked freelance doing production work for independent animators. During lunch, I took my portfolio around and began getting illustration jobs and was able to quit the animation work. As an illustrator, I found the assignments I most enjoyed were those asking for some writing and coming up with ideas. 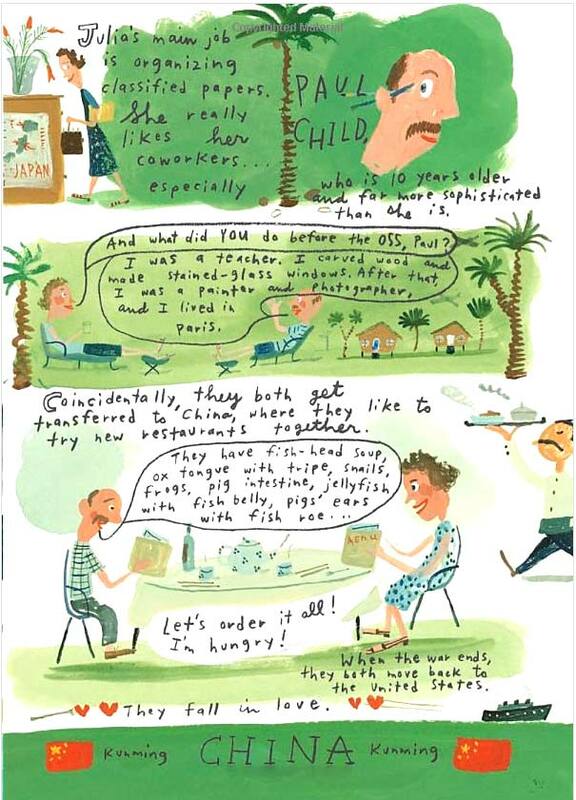 I had a fabulous gig for a couple of years, travel-writing and drawing a regular column for Travel and Leisure/ Family. You could say moving on to writing and illustrating children’s books was a natural transition, but I think it’s really what I wanted to do all along. 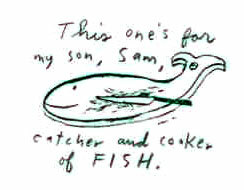 JH: Saul Steinberg, Robert Crumb, Roger Duvoisin, and old Graphis Annuals from the 50s. 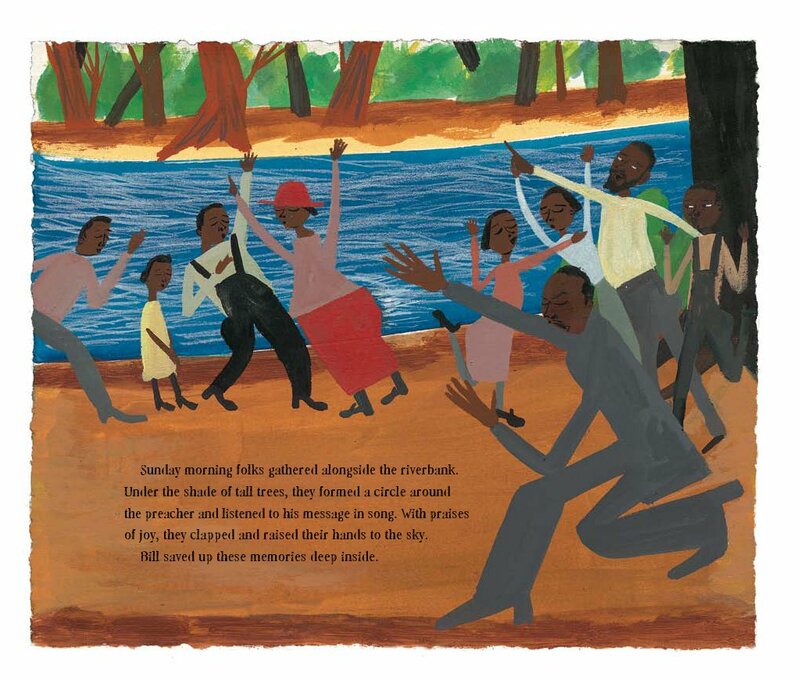 I grew up reading and loving Babar, Madeline and especially the collaborative books of Margaret Bloy Graham and Gene Zion (Harry the Dirty Dog). My mother made fabulous felt puppets and adapted the stories of Maurice Sendak and poems of Ogden Nash for puppet plays, and I put on the shows for my school. JC: What are you working on now? I also have 4-5 other ideas in various stages of development. . . And I just found out for sure that there will be a third in the “Museum” series of books — How the Meteorite Got to the Museum — about the Peekskill meteorite. JC: How delicious! Do keep us posted. And until then, bon appetít, Jessie! There’s still a few spaces left for my upcoming workshop. Here’s the link for information and registration. Questions? Post them below, or email me. Today, we are checking in with Oceanhouse Media (OM) to see what they’ve been up to since our last visit, in August. Prior to that, we first met with its founder Michel Kripalani in February 2011. OM keeps evolving with each encounter. Their title list has expanded, in concert with the size of their offices. Joy Chu: Would you share some stories about your latest projects? 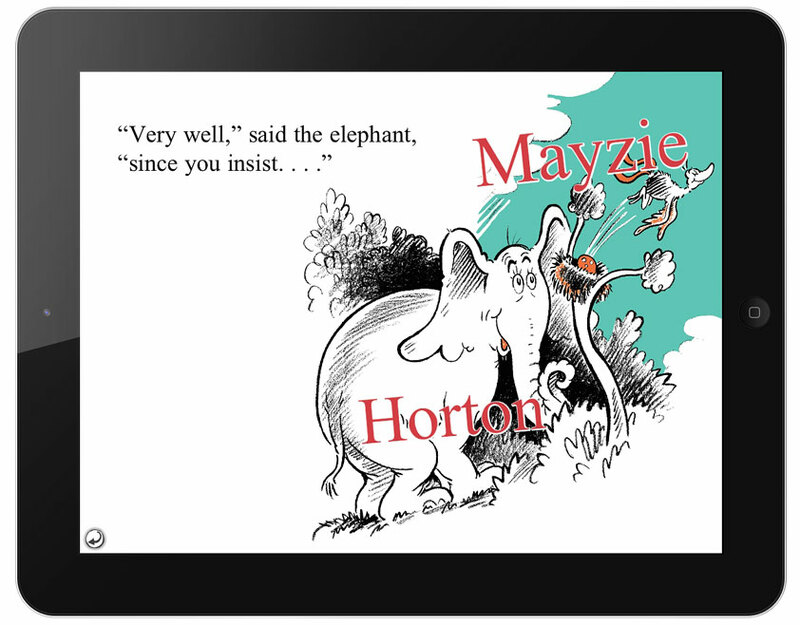 Your partnership with Dr. Seuss Enterprises continues happily! His 108th birthday was just this month (March 2). Michel Kripalani: We have some very exciting titles coming soon. 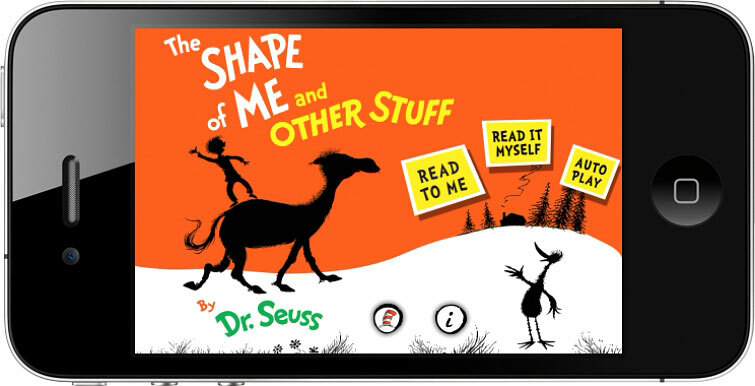 In the Dr. Seuss line, we’re about to come out with The Shape of Me and Other Stuff (release date March 21) . 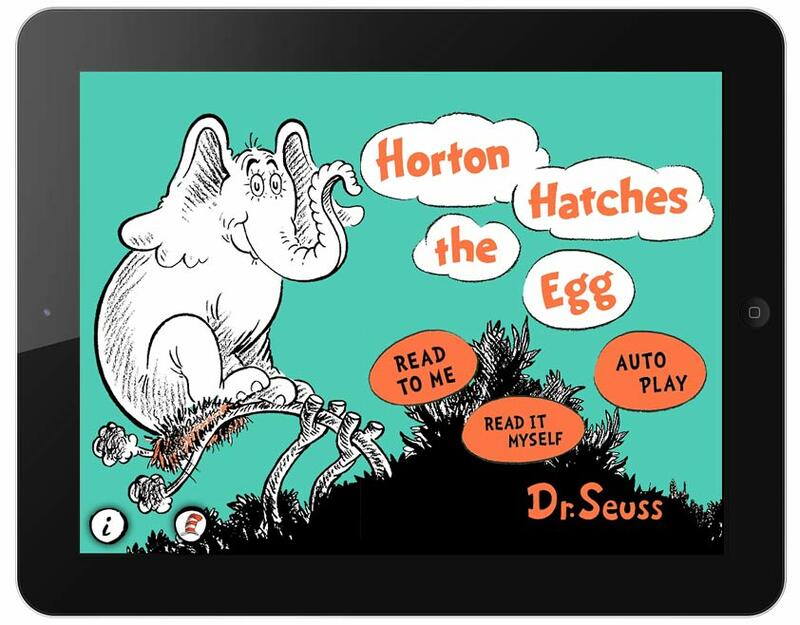 . .
…and Horton Hatches the Egg (release date April 4). We’re super excited for both of those. 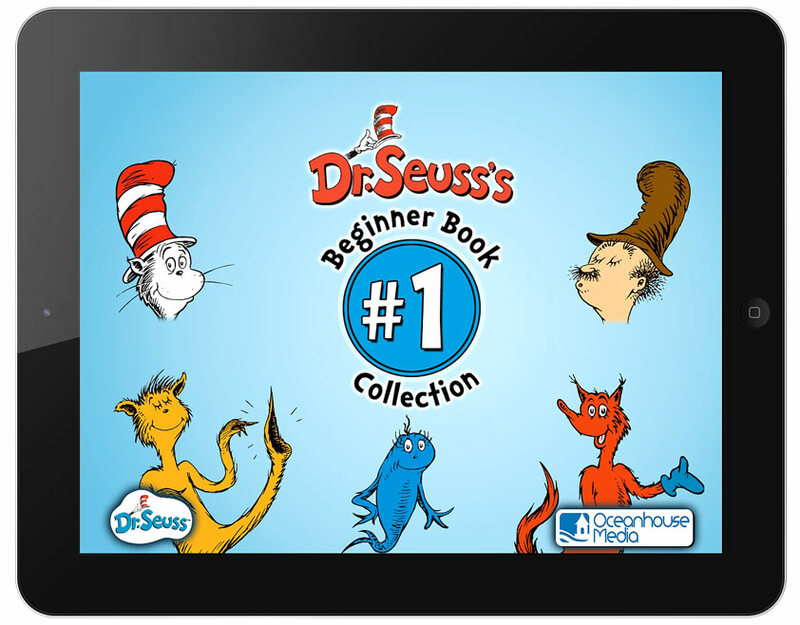 Recently, we’ve launched the Dr. Seuss Beginner Book Collection #1, which has done really well. 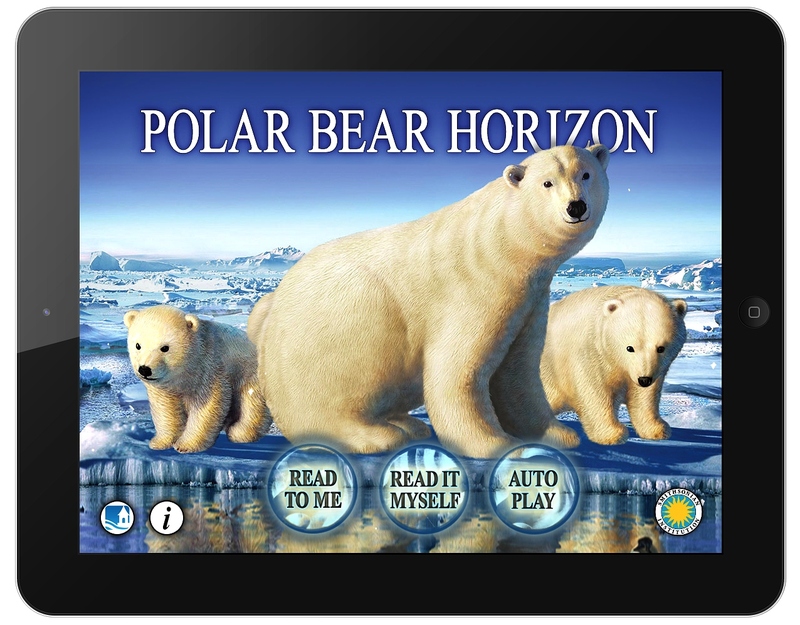 It seems that people are gravitating towards this idea of having multiple books in one app. We’re going to follow that up with a Collection #2 (release date March 21); and also a Mercer Mayer Little Critter collection. 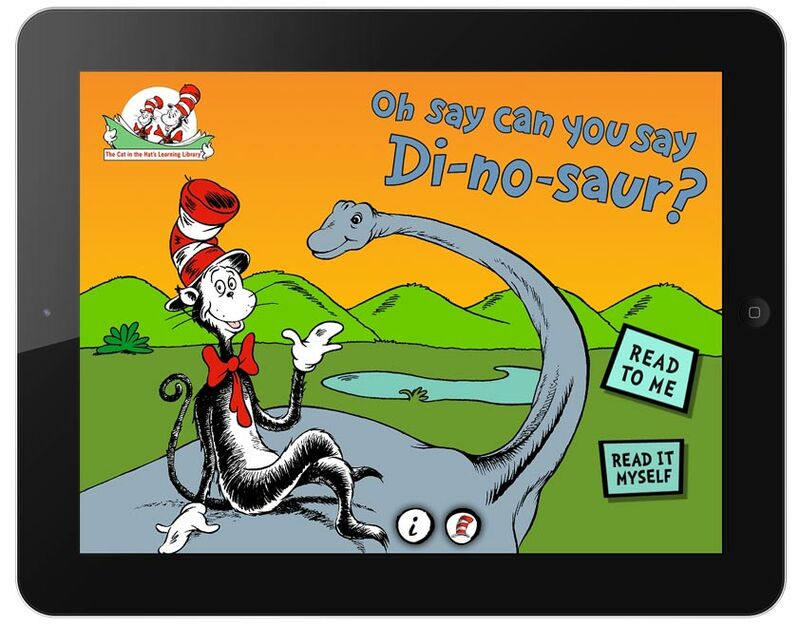 Finally, The Cat in the Hat’s Learning Library series has been very well received, with the first two apps that came out; and we have a number of new titles in production as well. The team is incredibly busy and we have a lot of great omBooks (Oceanhouse Media digital books) coming in the next three months. 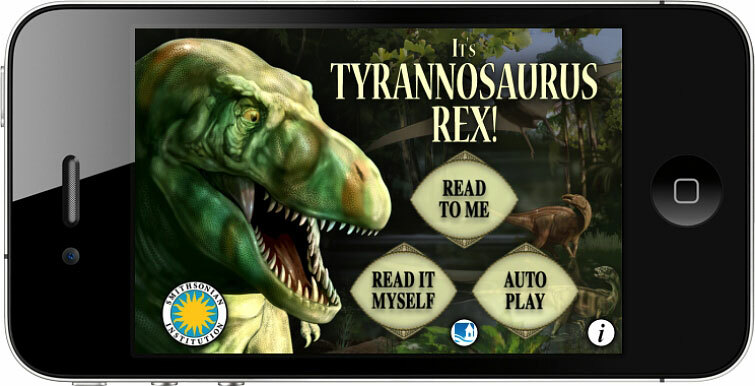 JC: Tell us about the books you do with the Smithsonian, of Triceratops Gets Lost; It’s Tyrannosaurus Rex! and Penguin’s Family. What age group is this geared towards? MK: The Smithsonian titles are great. 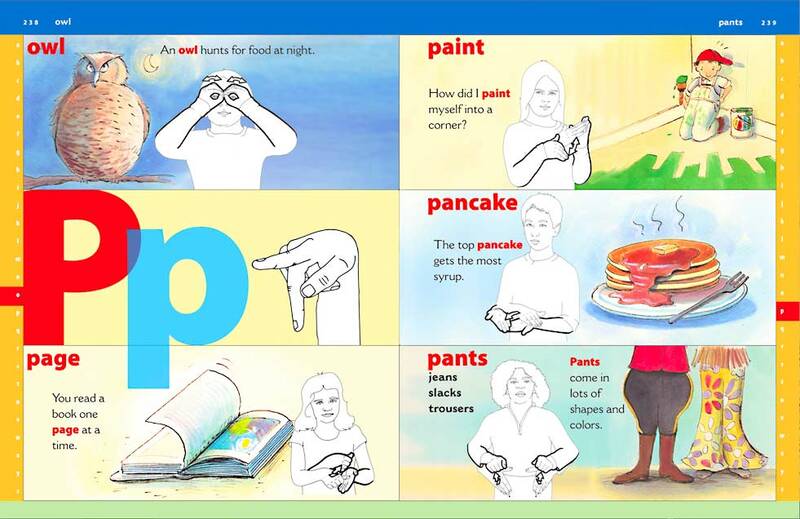 We work with Soundprints, out of Connecticut, who is the publisher of the books. The books originally came in print form, with audio CDs attached. 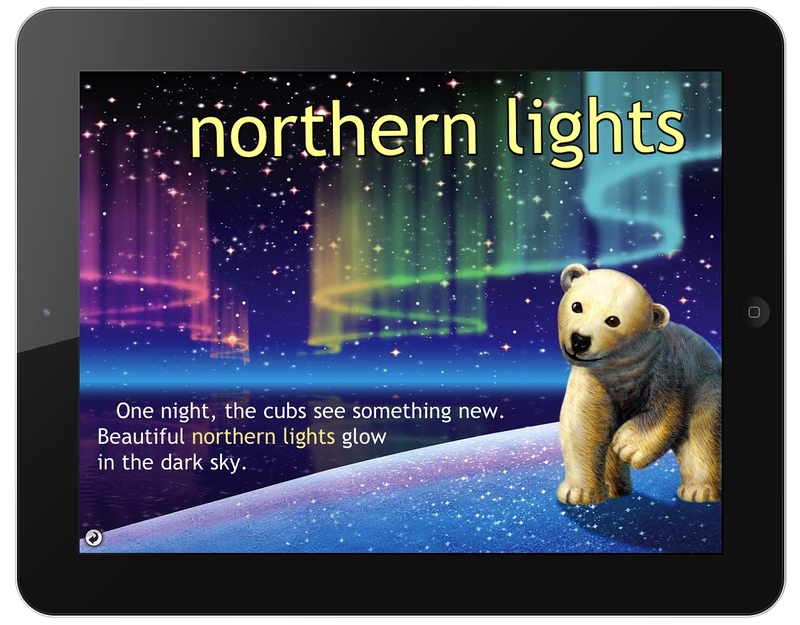 Now, we’ve taken those materials and combined them into apps, making them more interactive. 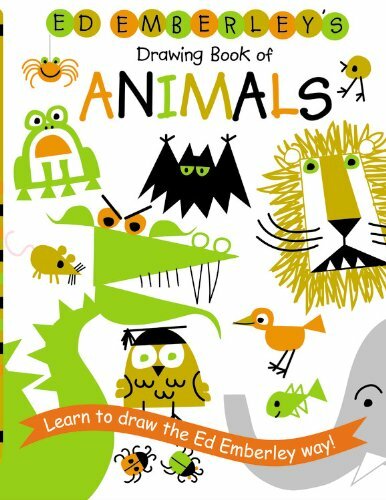 There’s some really great omBooks out there as you’ve already listed — Triceratops Gets Lost, It’s Tyrannosaurus Rex!, Polar Bear Horizon, Woolly Mammoth In Trouble and Penguin’s Family. 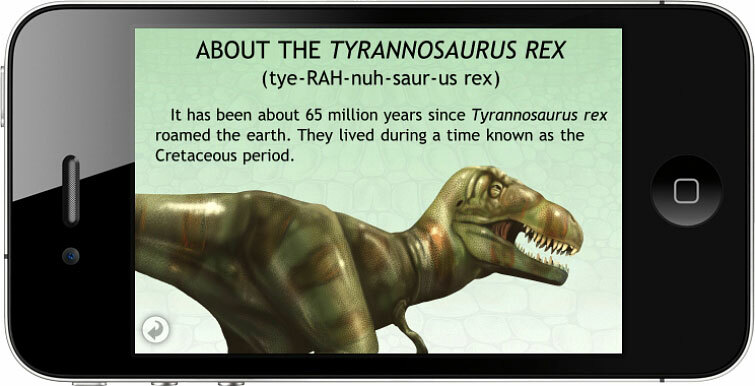 Children from 3 to 7 years old really seem to enjoy these educational apps. 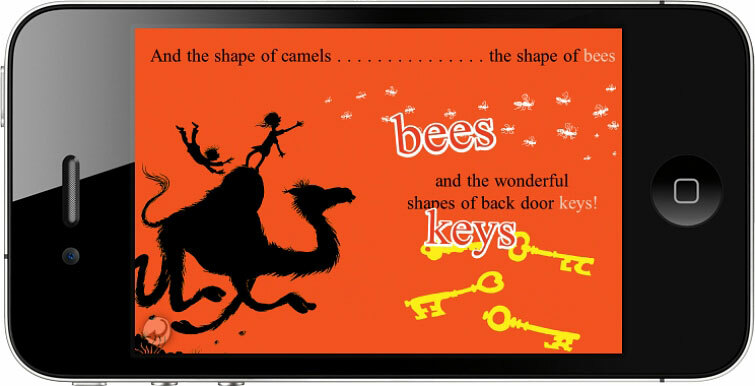 JC: These titles are nonfiction-oriented — as opposed to the classic Seuss titles. Are your steps different when doing these books? Will the emphasis be more on sidebar material, in addition to terminology? MK: The steps are not really that different. We always take the original source material and adapt it to interactive form as best we can. 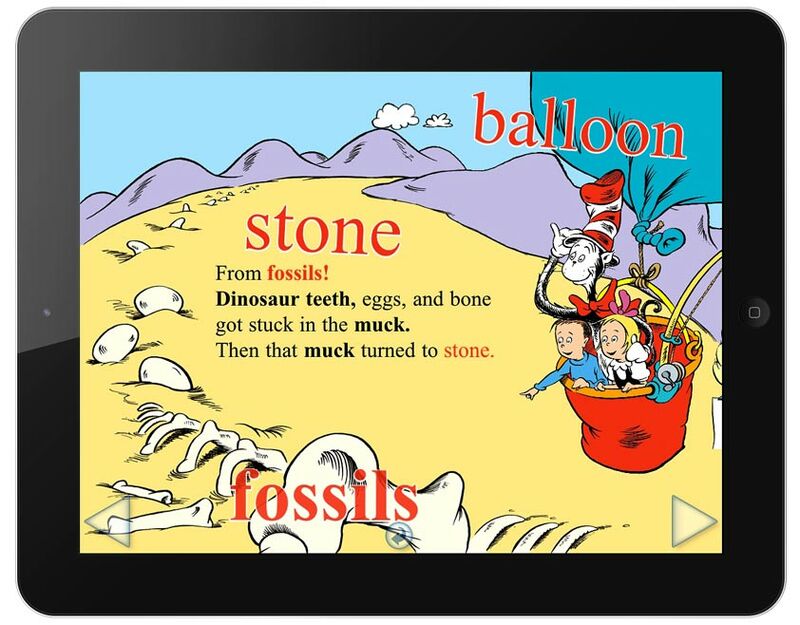 For Dr. Seuss, it happens to be fiction and storytelling and in the case of Smithsonian there tends to be more scientific content. Our process is very similar. In terms of sidebar material, we use everything that’s provided to us. 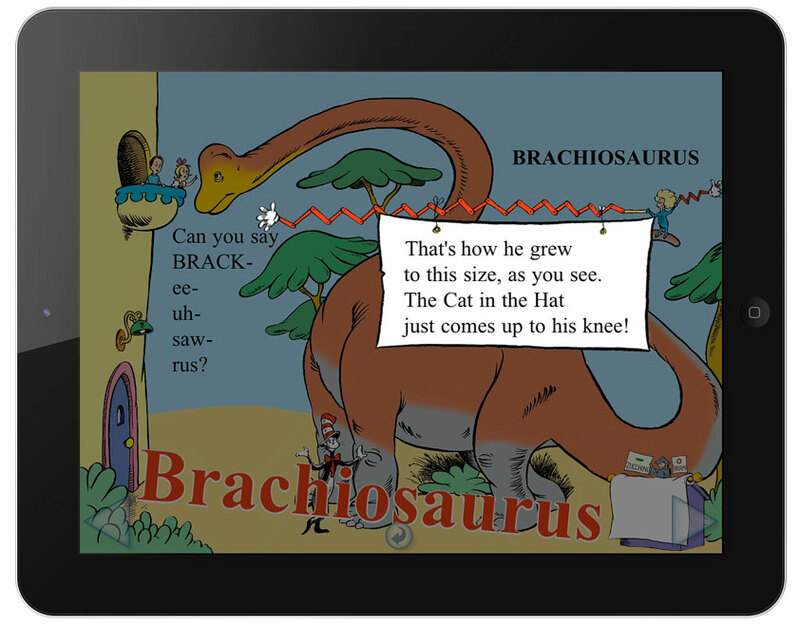 It just so happens that the Smithsonian line, and also The Cat in the Hat’s Learning Library line, have a lot of this additional information that we’re able to embed in the apps. 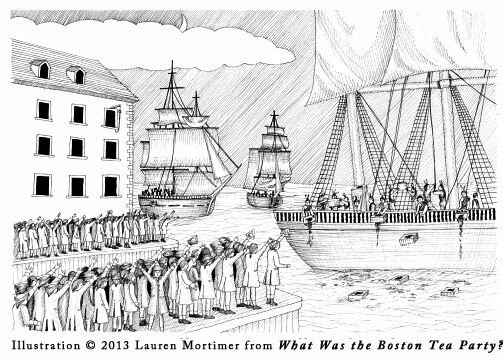 Sidebar from "Oh Say Can You Say Di-no-saur? 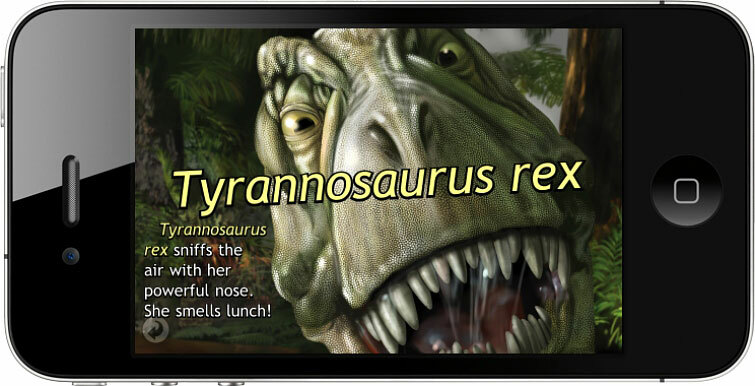 All About Dinosaurs"
Sidebar material from "Polar Bear Horizon"
JC: I’m excited you will be producing an omBook featuring one of my all-time favorite artists, Byron Barton! MK: We’re extremely excited as well. The books are fantastic to begin with, and we’ve added a real fun level of interactivity that we think will be very exciting for toddlers. 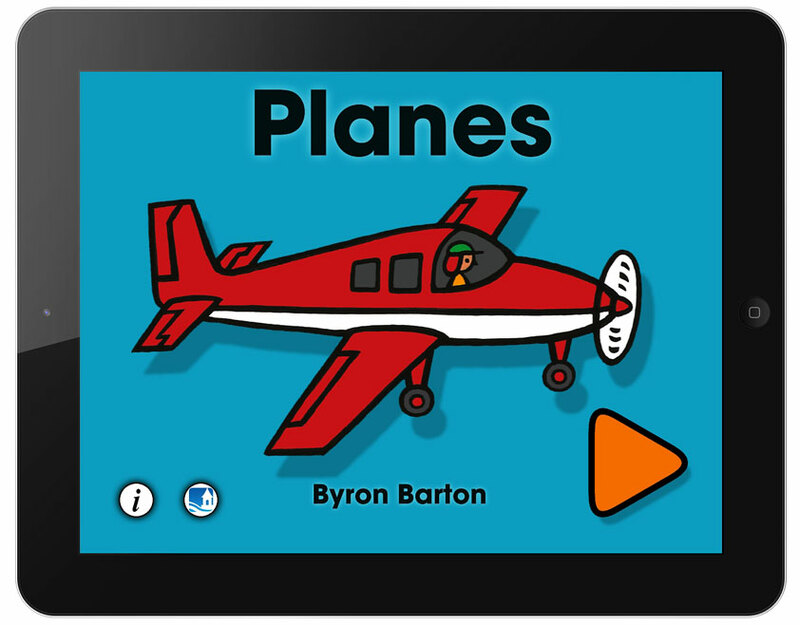 The first release is Planes, launching on March 14. 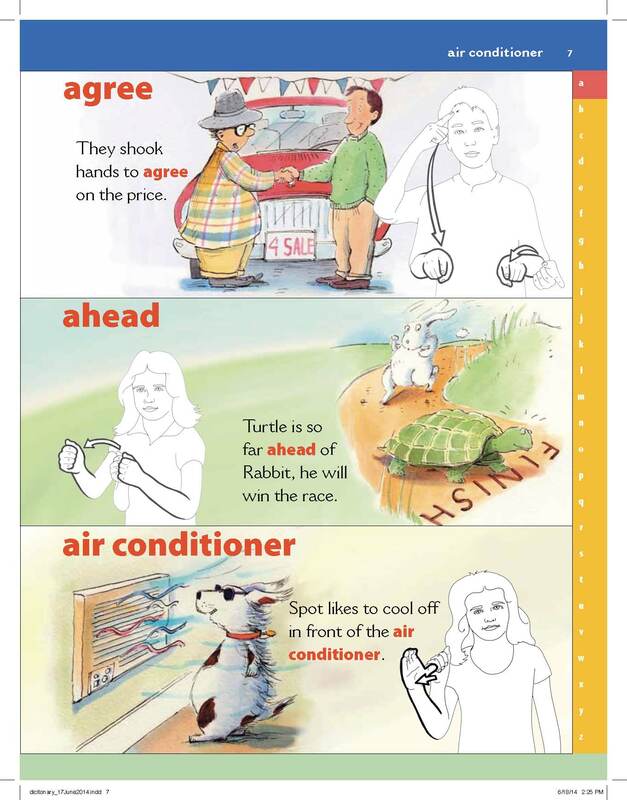 Additional omBooks based on Barton’s transportation books will be released in the next several months through our partnership with HarperCollins Children’s Books. JC: You have another addition to your stable since our last meeting: omBooks affiliated with Kidwick Books. 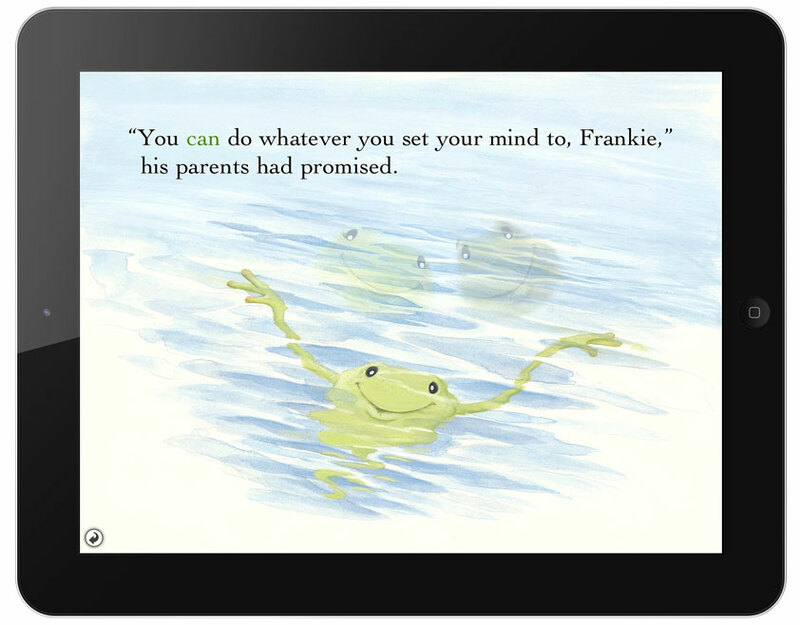 MK: Kidwick Books are a perfect example of how picture books with great storytelling can be transformed into engaging, interactive apps. 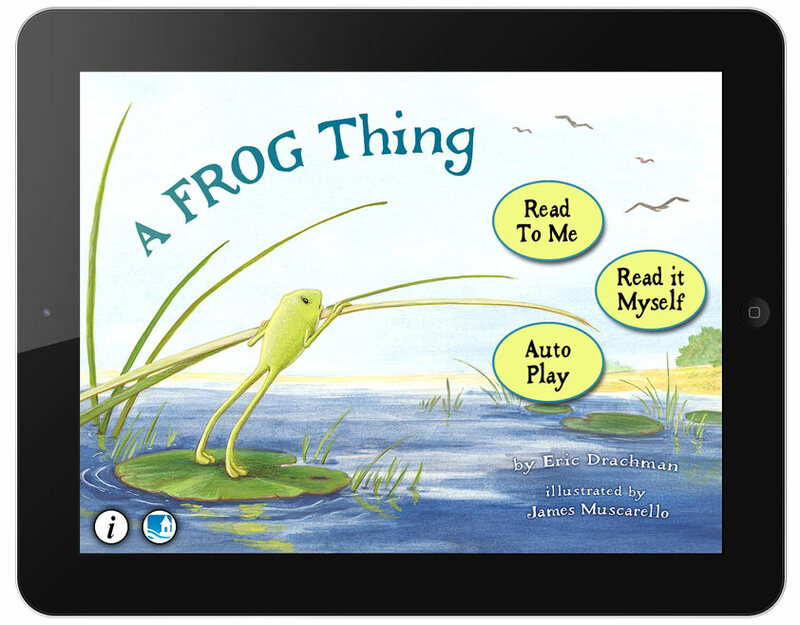 The award-winning Leo the Lightning Bug as well as Ellison the Elephant and A Frog Thing are a wonderful addition to our omBook collection, with stories that encourage patience, perseverance, and confidence in young children. JC: You now appear to have a mix between the author/artists you deal directly with [examples: Mercer Meyer; Alona Frankel’s Potty series; Dr Seuss Enterprises; Kidwick Books]; and other projects in tandem with major publishing houses [examples: Houghton Mifflin Harcourt; Official Character Arts, LLC./Rudolph the Red-Nosed Reindeer]. Now that Oceanhouse has hit the ground running, will you continue producing omBooks as direct partners, special third party licensee arrangements, or both? In what percentage of each? MK: For us it’s very straight-forward. We do the deal with whoever holds the rights. If the author and illustrator hold the digital rights to their material, then we’re happy to do a direct deal with them. If the rights reside with the publisher, we’re equally happy to work with the publisher. It really makes no difference to us, and it’s a little bit hard for me to predict which way the rights will be held in the future. JC: What do you look for when you take on either of the above business relationships? And would you define the term “Evergreen Title” in terms of book print quantity? What about web presence (ie, how many “hits”? ); when this is included in a project proposal? 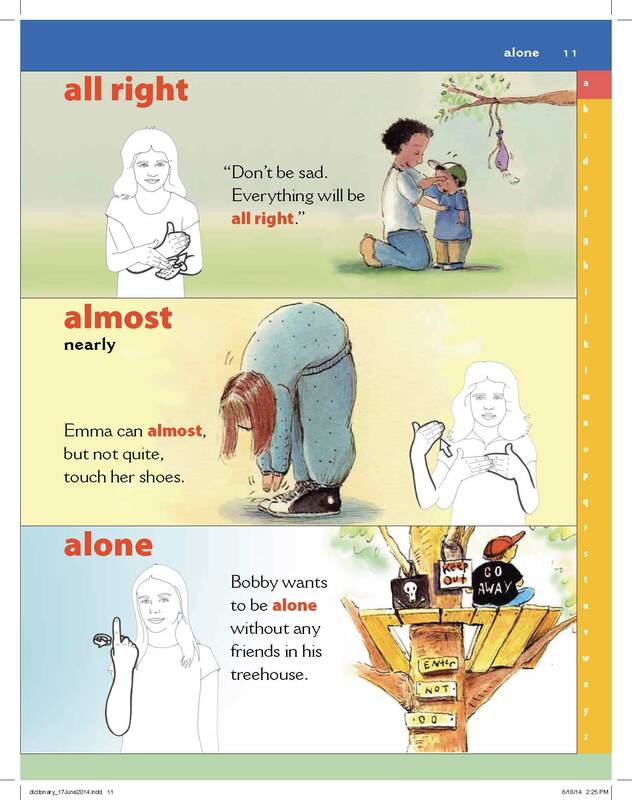 MK: Every book and every line is different. 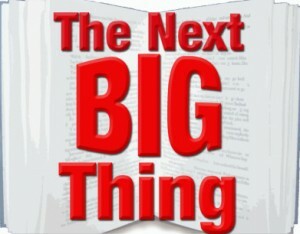 To date, as a business, we’ve been looking for evergreen titles from big brands. Clearly, Dr. Seuss, The Berenstain Bears and Little Critter all fall in this category. So in general, we do tend to gravitate towards lines with multiple books, a dozen or more is attractive to us, and titles that have been selling for many, many years. Over time, I expect this will change, and we may start to explore books just because we think there’s a chance that in an app adaptation they’ll do particularly well. JC: If an author/illustrator owns the complete rights to their currently out-of-print book, they would ideally show a written proposal. What should it contain? MK: A written proposal is a great place to start. People can feel free to contact us via email (info@oceanhousemedia.com). A simple summary is great. Perhaps deliver a few PDF images of some pages as well. We love to know what print runs and sales figures have been in the past. To date, most of the titles that we’ve adapted into apps have sold well over 50,000 or more copies, some into the hundreds of thousands and even millions. JC: Any other new news you can share with us? 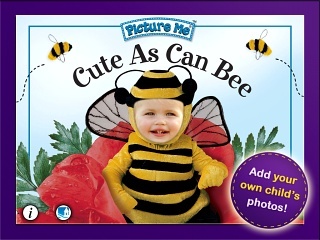 MK: One other line that we recently launched that we’re really excited about is adaptations of the Picture Me® Press books, which allow children to put their photographs into the omBooks. In physical form, you’d put a 4×6 photo at the back of the book and see it on every page. 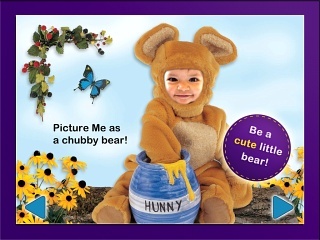 But in app form (pictured here), we’ve found that it’s even that much more playful because you can use the camera on the device to take a picture or go get something out of your photo library. 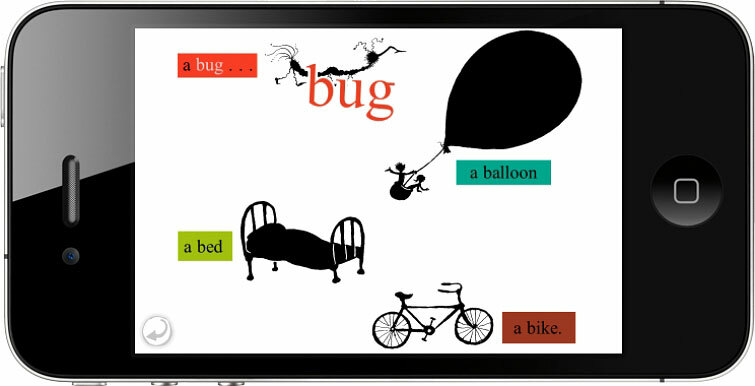 Then we still add all of the interactivity, word highlighting and playful elements. It’s a series that we’re very excited about. Initial titles have done quite well.